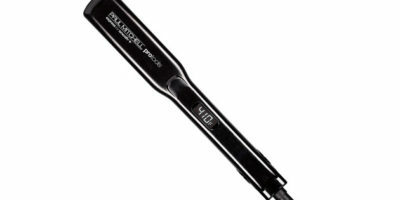 Why is the Herstyler Colorful Seasons Ceramic Flat Iron so Effective at Straightening Fine Hair? Are you under the impression that a budget-friendly flat iron will not work on your fine hair? Well, one thing we can tell you is that’s not necessarily true. There are some real bargains on flat irons out there in the beauty marketplace that will work well on fine hair according to those that use them. 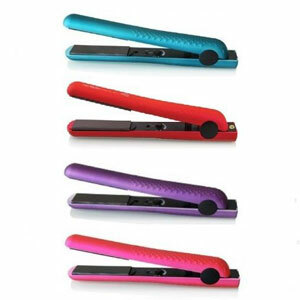 One of them is said to be the Herstyler Colorful Seasons Ceramic Flat Iron. It’s brightly colored for sure but we will have to take a closer look at it to tell if the straightener will work well on fine hair or not. 8-foot power cord with anti-tangle swivel end. 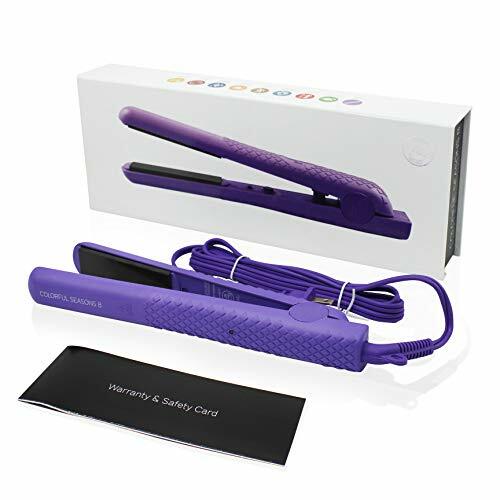 This eye-popping purple flat iron has a nice versatile 1 ¼’ plate size. That’s enough surface area to handle fine hair easily. These plates are ceramic coated too which is great news for your fine hair. Colorful Seasons Ceramic Flat Iron also heats up using far-infrared heat. This is a very fine hair compatible form of heat. This is a very travel-friendly flat iron too. It packs easily and stores in a locked position so it cannot open. It even has a dual voltage capability so you can use it almost anywhere you travel in the world. For safety concerns, it comes with an automatic shutoff too. We mentioned the wide variety of heat settings this flat iron has on it. The lowest setting of which is 180ºF. That is good news for heat-sensitive fine hair. This flat iron gives you the ability to start out straightening your fine hair at a safe low heat. You can then slowly work your way up to a temperature setting that nicely straightens your fine hair but does not damage it while you do it. The floating ceramic plates are a big bonus for your fine hair too. They heat evenly so there are no damaging hotspots on the plates. These ceramic plates will also allow your hair to slide across the plates more easily.as you straighten it. The warranty is kind of disappointing on this flat iron but then again it’s a very affordable hair straightener so it may not be a big concern to you. Herstyler only backs it up with a single-year warranty. We worry a little about the quality of the plastic this flat iron’s outer covering is made of too. Many users have complained that it is a weaker style plastic. It’s certainly not a flat iron that you want to get beaten up when you travel so you will have to pack it well. 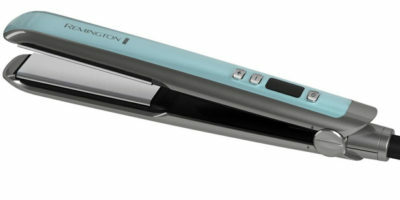 There is a lot to like about this flat iron from Herstyler. It has a crazy wide of temperature settings including lower ones that are gentle on fine hair. The ceramic coated heat plates are fine hair friendly also. When you take into consideration too that this is a good travel dryer, is stylish and affordable you just want to check it out some more before you make your flat iron purchase.